Lots of people have tantrums at the airport, even grownups. 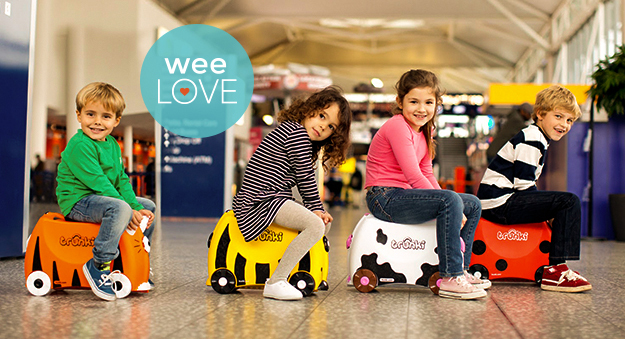 But you can keep your toddler happy and busy as you scoot through security, thanks to Trunki. This ride-on-suitcase is a fun and functional distraction (the best kind!). A luggage and ride-on-toy combo, Trunki is lightweight, super sturdy, and holds all your tot’s beloved belongings. It’s the cutest carry-on you’ll ever see. (We’re not going to lie… it’s a nice perk when your kiddo can handle his or her own luggage.) There’s also a tow strap for when little feet get tired or when mom and dad need to help maneuver through the terminal. 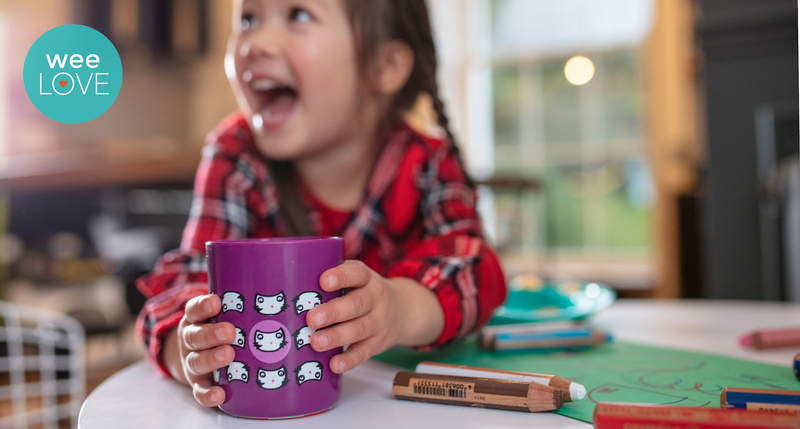 You can use it at home to store toys, too. If they made Trunkis for adults, maybe traveling would be a lot more fun for everyone. Previous story Baby Gear Video Reviews: Announcing the weeSpring YouTube Channel! Hi! I just saw this on Pinterest and curiousity forced me to check it out on your website. What a cool idea – I’m sure you’ve received tons of appreciation from traveling parents. Nicely done! I would like to make one suggestion, or put a thought out for you to consider. Let me first say, I am not a mom. But right after thinking this is the coolest thing, I immediately had one concern. It might be cool, if it’s doable, to see the two strap handles be able to double as a “seatbelt.” Obviously it doesn’t need to be heavy duty, but just enough to keep a very curious or fidgety little one in place. Also, eliminates the risk of a really well trained bad person swiftly picking a child up and blended into the crowd before a parent can get turned around. What I picture is using two sets of those plastic side-release buckles, like what you see on plastic booster seats or dog collars – one set on each side that connect to make the two straps. To switch to seat belt, just release both handles and bring the long straps up and buckle across the lap. that’s all – Just sharing my idea. Again, great work on a very helpful product!